1953 was an OK year for South Melbourne with the Swans finishing the season in 8th place on the VFL ladder. They would have 9 wins and 9 loses for the season, with their biggest scalp being a 43 point victory over Geelong in round 17 at the Lake Oval. They also defeated Footscray in round 9 at the Western Oval by 29 points and Essendon by 10 points at the Lake Oval in round 2. 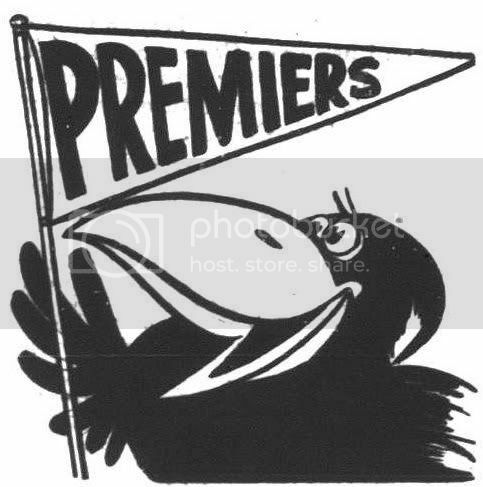 The only finalist that they did not beat in 1953 was Collingwood who easily defeated South both times that they met. in 1953 South were coached by Laurie Nash. 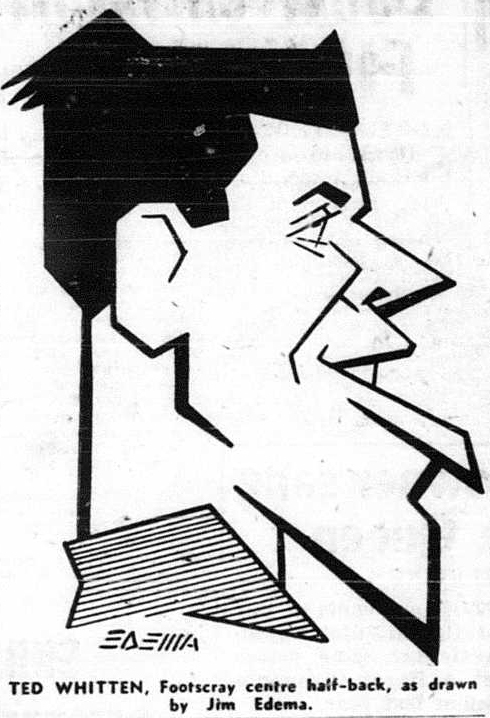 Nash who was a member of the Swans’ 1933 premiership team and captained the club in 1937, was appointed coach for the 1953 season. Nash also played test cricket matches for Australia in the 1930s. In 1954 he would be replaced by former team-mate and captain Herbie Matthews. The Swans best player of the early 1950s was Ron ‘Smokey’ Clegg. He was a brilliant key position player at either centre half-forward or centre half-back who won the Brownlow Medal in 1949. 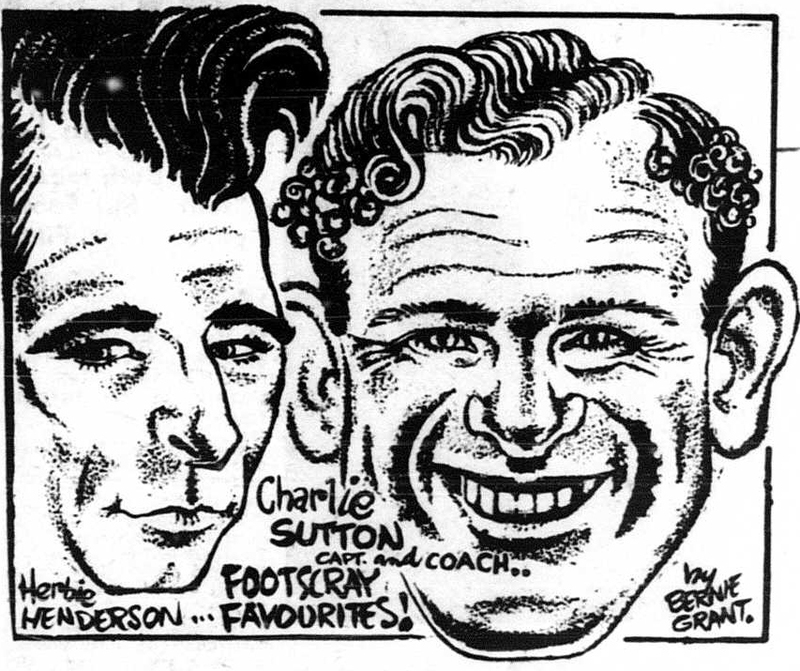 He also won South Melbourne’s best and fairest award three times in 1948, 49 & 51. Clegg played 231 games for the Swans between 1945 & 1960 and was considered one of the greatest players to put on a Swans guernsey. He was a superb mark and a driving kick. In 1953 the Swans’ best and fairest award went to Jim Taylor. 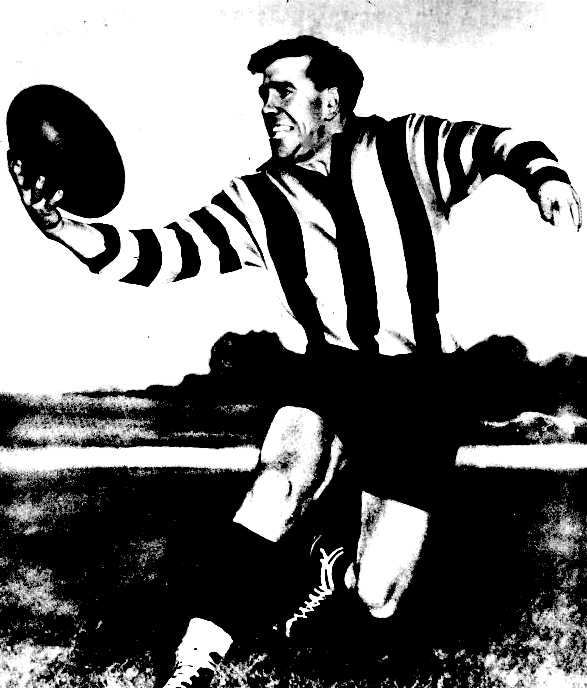 Taylor played for South between 1949 and 1954, before going to South Australia to play with Norwood. He returned to the Lake Oval in 1956 and again won the Swans’ best and fairest award. He was also fourth in the Brownlow Medal count of that year. He was a very versatile footballer who play as a dashing ruckman or centre-half-back. He won a second best & fairest award in 1957. He also worked part-time as a male model who helped promote cigarettes. Stringly built ruckman Ian Gillett was South Melbourne’s leading goalkicker in 1953, scoring 34 goals for the season. He played 135 games for South between 1951 & 58 and won their best and fairest award in 1955. His best haul of goals was 5 in a losing side against Collingwood at the Lake Oval. He was a great protector of South’s rovers and captained the team in 1956. 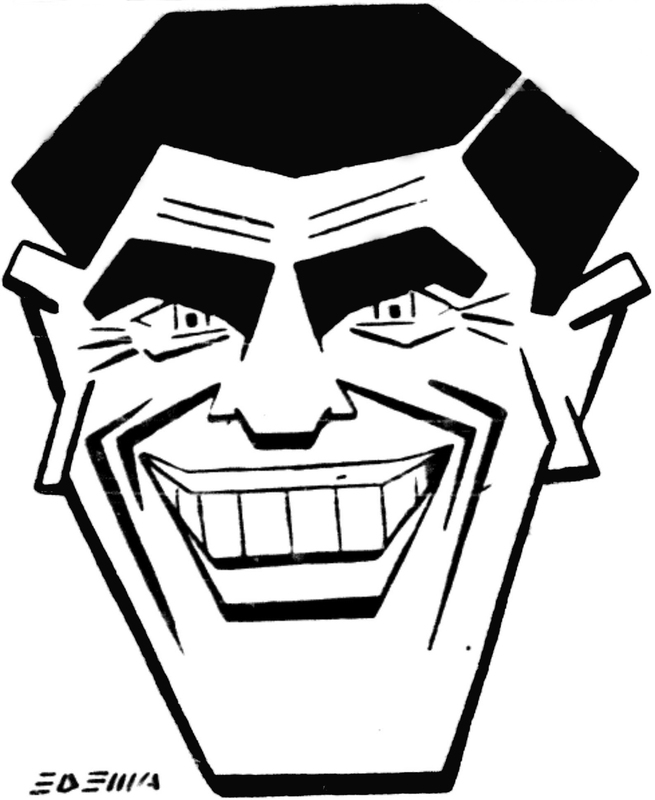 Fred Goldsmith played his third VFL season in 1953. He only played 8 matches for the 53 season and could not really cement his spot in the team. In 1954 South moved him from the half-forward-flank to full-back which turned his career around. In 1955 he won the Brownlow Medal by 1 vote to Essendon’s Bill Hutchison. He was a spectacular mark and a long drop kick, in 1956 he won the Simpson Medal as Victoria’s best player. Bill Gunn was a brilliant forward who played 104 games for South Melbourne between 1952 and 1959. 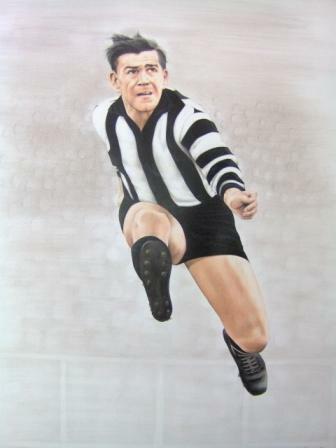 He was a fast and clever footballer with good instincts who represented Victoria in 1952, 1954, 1956 and 1959. He was selected to play in the 1953 ANFC carnival in Adelaide but had to withdraw due to work commitments. 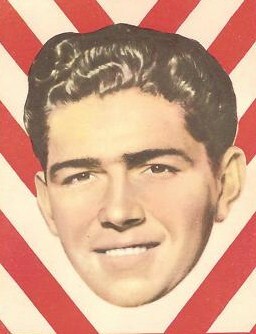 Gunn was a quick and active centre-half-forward who kicked 101 goals in his career; he captained the Swans in 1955. 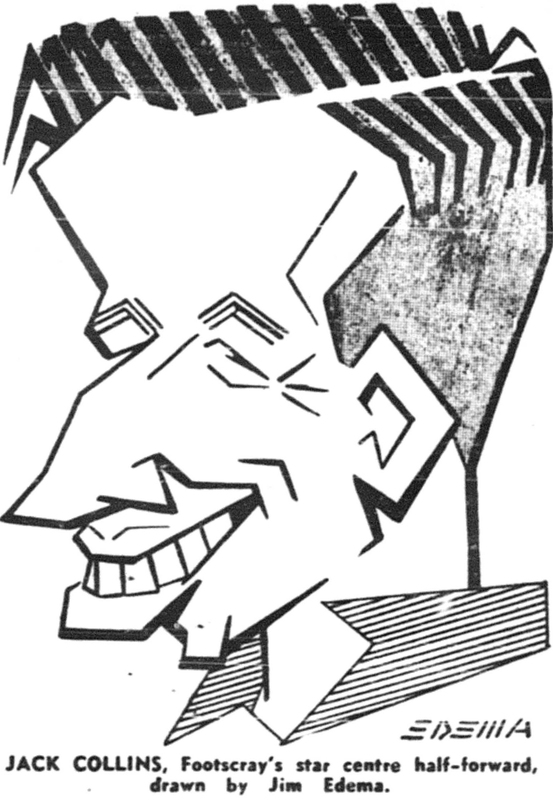 Keith Schaefer was a consistent centreman who played 102 games for the Swans between 1947 and 1953. He had a fine turn of speed, was an excellent mark and an accurate stab pass. He won South’s best and fairest award in 1953. Mick Sibum who kicked 4 goals in the opening round against Collingwood ended up kicking 20 goals for the season, with those 4 goals being his best haul for the year. He played 111 games for South in 6 seasons from 1950, kicking 88 goals throughout his career. He was a dashing rover who was appointed vice captain in 1955.